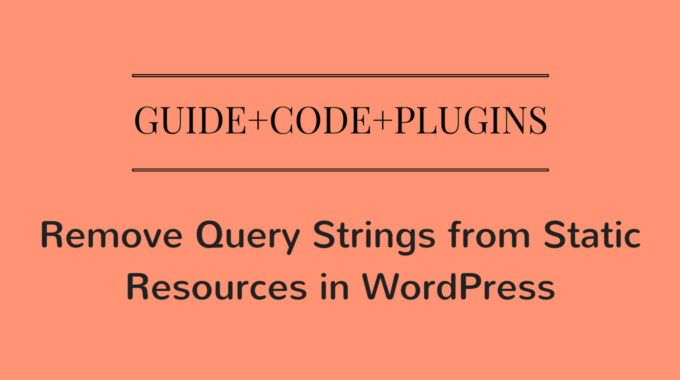 [Guides+Plugins+Code] Remove Query Strings from Static Resources. 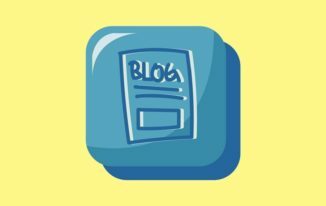 Remove Query Strings from Static Resources in WordPress. When testing our Website in tools such as GTmetrix , we often come across warning such as Remove Query Strings from Static Resources. 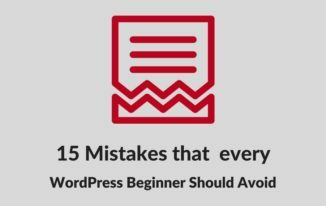 The recommendation provided to Remove the Query Strings should not be overlooked because it has priority in determining the speed of the Website. How will this article help you ? 1.A Basic Guide on Query Strings that covers the points such as what are Query Strings and how does it affect the performance of the website. 2.Removing Query Strings using code. 3.Remove Query Strings using Plugins. Resources such as CSS and JS files in your website with a version number appended at the end are Query Strings or simply we can call Query Strings as “URL with Query parameters such as “?”. 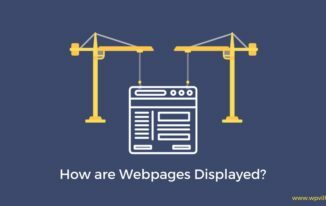 Many Hosting Providers and CDN services has the problem in Caching of these resources which affects the loading time of the website and ultimately lowering its performance. Now that you have read through the basics, it is clear as to why “Removing Query Strings from Static Resources” is Important. In order to accomplish this task, open the functions.php file of your theme by navigating through Appearance -> Editor -> functions.php and add the snippet of code provided below. Remember : It is always recommended that you take a backup of the file before editing. There are Plugins that can simplify the task of removing the Query Strings. Now you can boost your speed score in GTmetrix, Google Page Speed using this simple plugin which just needs to be activated after Installing it. The plugin removes all of the Query Strings from CSS and JS files that are located with the HEAD element. With no Configuration required this plugin does the same task of removing Query Strings from Static Resources such as CSS and JS files. It is recommended to delete the cache after activating the Plugin. I hope this guide will help you in removing the Query Strings from Static Resources in WordPress thereby Improving your website speed. You can also refer The INs and OUTs of WordPress Speed Optimiztion that will guide you through the various methods that you can Implement in your Site to make it faster.